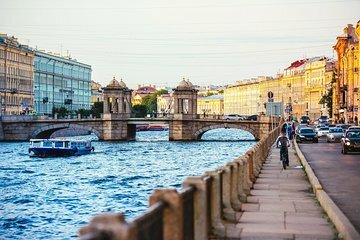 View St Petersburg from a whole new perspective with an evening cruise along the city's waterways. Sail beneath bridges and past stunning palaces where members of Russia's imperial family once lived Marvel at St Peter and Paul Fortress―birthplace of St Petersburg―and meander past the Hermitage complex, home to the largest collection of paintings on the planet. Savor unique views of this 'Venice of the North' and see for yourself exactly how it earned its nickname, all the while learning about its fascinating history from your own personal guide. Tour ends at your ship.